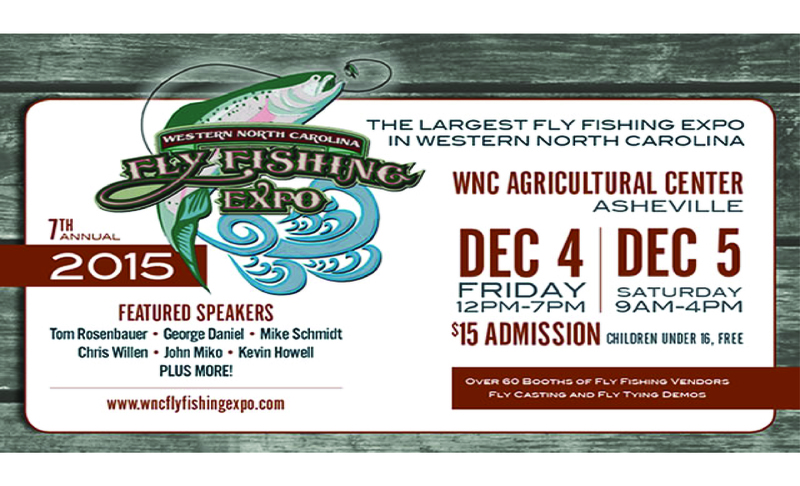 Tenkara is really catching on here in western North Carolina and I’m excited to have been invited to be a presenter at the upcoming WNC Fly Fishing Expo. This is our region’s biggest fly fishing event. I’ll be giving a talk on tenkara at 4pm on Friday, 4 December and at 12:30pm Saturday, 5 December. It looks like our streams are all pretty badly out of shape right now, so this is a great way to scratch that fishing itch. When I’m not talking, I’ll be volunteering at the Land O’Sky TU “Yard Sale” booth. We’ve got some pretty cool used (and unused) tenkara rods, lines etc. in the sale this year so come early to maybe grab a tenkara bargain and support the good work of TU. I hope to see you there! This entry was posted in Uncategorized and tagged Asheville Tenkara news, guides, tenkara fishing, tenkara guides. Bookmark the permalink.